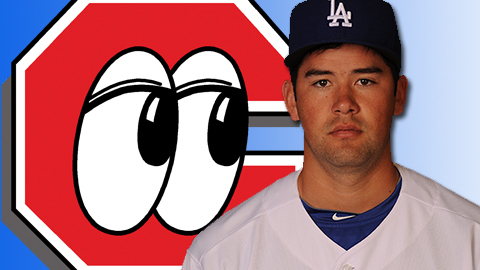 The Los Angeles Dodgers have announced that RHP Zach Lee, who entered the season ranked as the Dodgers' top prospect by Baseball America and MLB.com, has been promoted to Chattanooga. He is scheduled to make his first start for the Lookouts on Wednesday against the Mississippi Braves. The 2010 first-round pick was promoted from Rancho Cucamonga (A+), where he went 2-3 with a 4.55 ERA in 12 starts. In 55.1 innings of work, he yielded 60 hits and 10 walks, while striking out 52. Lee spent the 2011 season playing for the Great Lakes Loons (A). In 24 starts during his inaugural professional season, he went 9-6 with a 3.47 ERA and 91 strikeouts in 109 innings. In addition to being ranked as their preseason number one prospect in the Dodgers organization and the 62nd overall prospect in baseball, Baseball America listed Lee superlatively for having the best control among Dodgers prospects. Prior to signing with the Dodgers, Lee had enrolled in summer school at LSU, where he had committed to playing baseball and football. A heralded quarterback at McKinney (TX) High School, he passed for 2,565 yards and 31 touchdowns as a senior. His accolades as a quarterback include earning an All-State Class 4A Honorable Mention selection, as well as being selected to the First-Team All-District 9-4A. In a corresponding move, RHP Eammon Portice was reassigned to Ranch Cucamonga. Portice made eight relief appearances for the Lookouts, going 1-0 with a 5.40 ERA. Tonight, the Lookouts open up a five-game series on the road against the Mississippi Braves but return home on Sunday to play a three-game homestand against the Tennessee Smokies. Tickets for these games or any other Lookouts home game can be purchased at the Lookouts Box Office at AT&T Field, online at www.lookouts.com, or by calling (423) 267-4849.